Purchasing a 3D printer may result in some stress in choice because there is a lot to choose from. An important difference is the construction of the 3D printer. There are 3D printers on the market without a casing/cabinet, these printers are very sensitive to the ambient temperature. There are also 3D printers on the market with a closed casing/cabinet, so the temperature is considerably better to regulate. 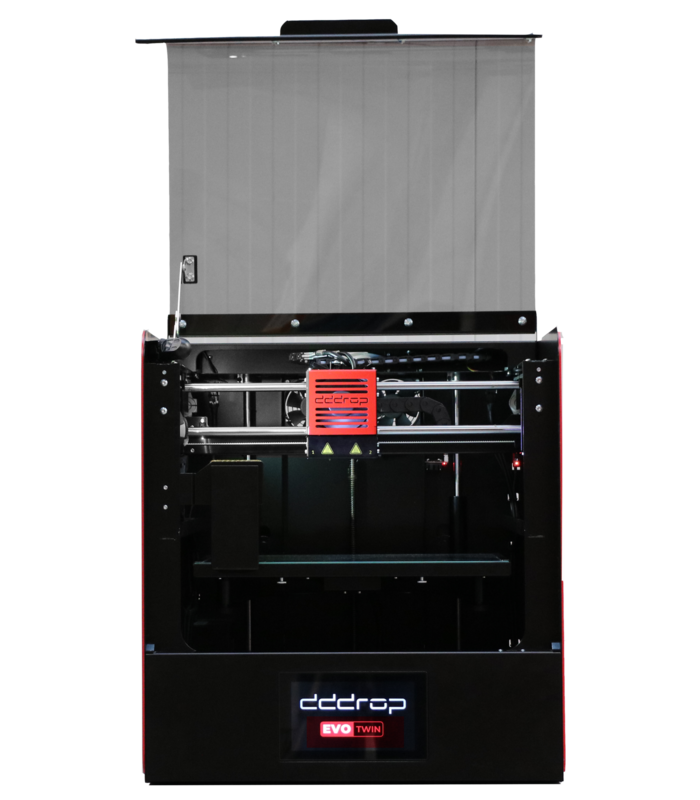 These closed chamber 3D printers are generally more expensive, but also offer more possibilities with better print performance. To be able to make a deliberate choice on which 3D printer the most suitable is for you, it is useful to find out more about the 3D printing process first. When making a 3D print, the temperature is of great importance. Without the right temperature it is impossible to make a good 3D print. 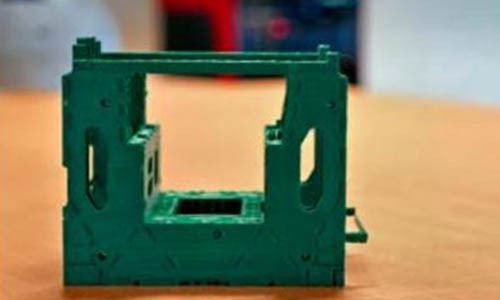 The print material (filament) must melt to be able to go through the print head (nozzle) and to lay it down per layer. 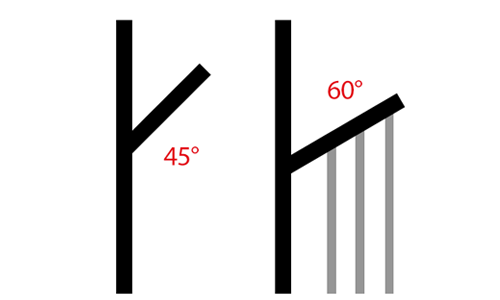 The temperature at which the filament changes from solid to liquid phase is called the glass transition temperature. This temperature differs per filament. The higher the temperature must be, the more difficult to realize this with an open printer. The filament will still be able to be sent through the hot print head. However when it is deposited on the print bed and it cools down too quickly, due to the ambient temperature, it is very likely that the filament will warp on the print (glass) plate or there will be delamination higher in the product. The more simplified 3D printers are in general the open printers. These are available from around €250,-. Very accessible and great for simple prints where the material (filament) is less important. These 3D printers can only print the filaments PLA and PET-G. PLA and PET-G are totally not shrink-sensitive and can therefore be printed with an open printer. PLA is strong and hard plastic material that cannot simply be pulled out of its context: it can withstand great forces. But in case of a hard blow or a fall, it is just glass and it will break. 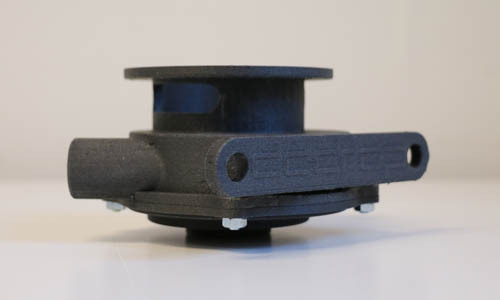 PLA is is therefore especially suitable for vision models and not for industrial use. Great for home, harden and kitchen experiments. PET-G is a very strong material that is also flexible: it can be stretched twice its own length before it breaks. Thanks to the combination of strength, toughness and flexibility, it is extremely suitable for parts that move a lot and where fatigue lurks. 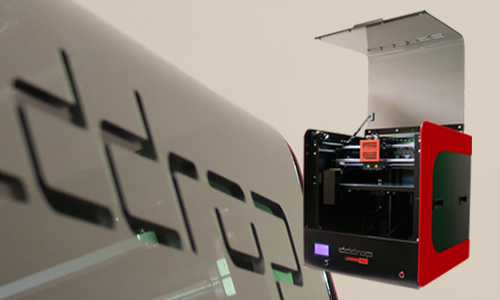 The dddrop 3D printers are equipped with a heated printbed up to 130 ºC. This is the heating source of the printer, the hot air rises and the warm air remains in the printer due to the closed box. The big advantage of this is that the warping on the print bed is often prevented. When we talk about filaments such as ABS, PA (polyamide, nylon) PC (polycarbonate), carbon, metal-filled filaments or so on, the temperature really matters. These filaments have a high glass temperature. 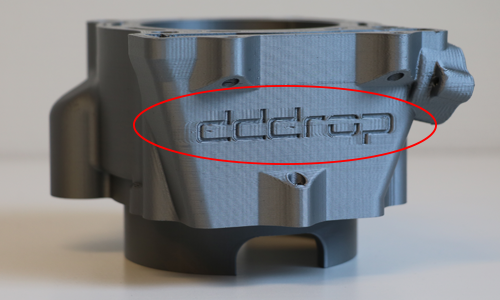 To be able to print these materials shrink-free, you really need a conditioned chamber. It is important that a kind of oven is created. Often we want a chamber that is as warm as possible, but when the chamber is too warm, the printer head gets stuck. That is why it will have to be cooled without losing too much temperature in the chamber. Is there a door open and there arises draft? That is not a problem. It does not affect your print. The ambient temperature is a lot less important. Although a room temperature is required for the standard print setting for the best results. 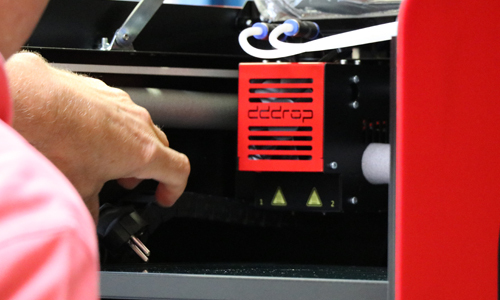 The dddrop printers have a closed, conditioned chamber which makes it easy to regulate the temperature. This makes it possible to print with various (high-tech) filaments.